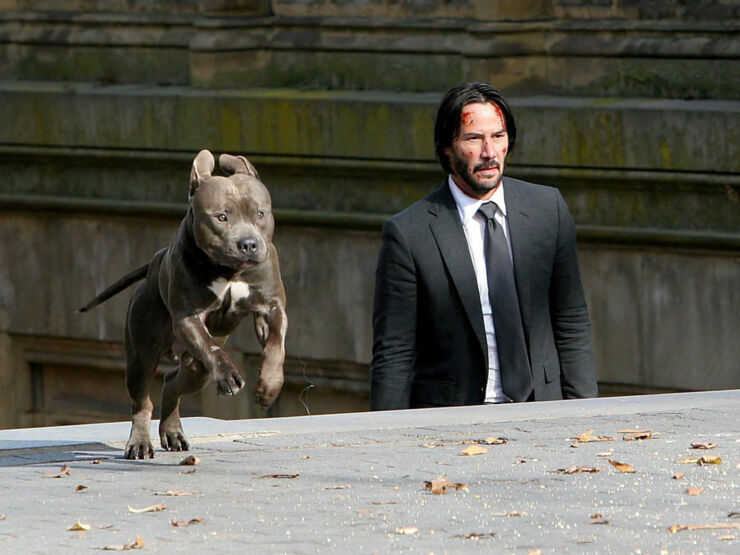 John Wick 2 is out early next year and you've probably seen the trailers already (above, just in case) for the second installment of the legendary hit man John Wick (Keanu Reeves) squaring off against some of the world's deadliest killers in Rome, and yes, he has a new dog. If you missed the first film then in a nutshell someone shot his dog, he got very sad, and went on a mission to kill the people responsible, plus anyone who got in his way. 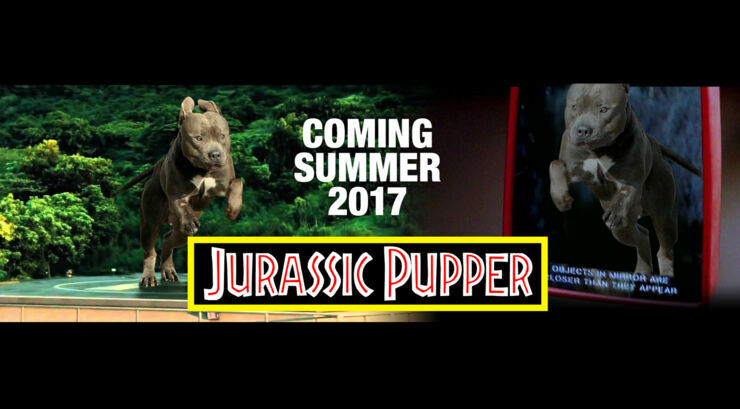 It was a surprise hit at he box office. 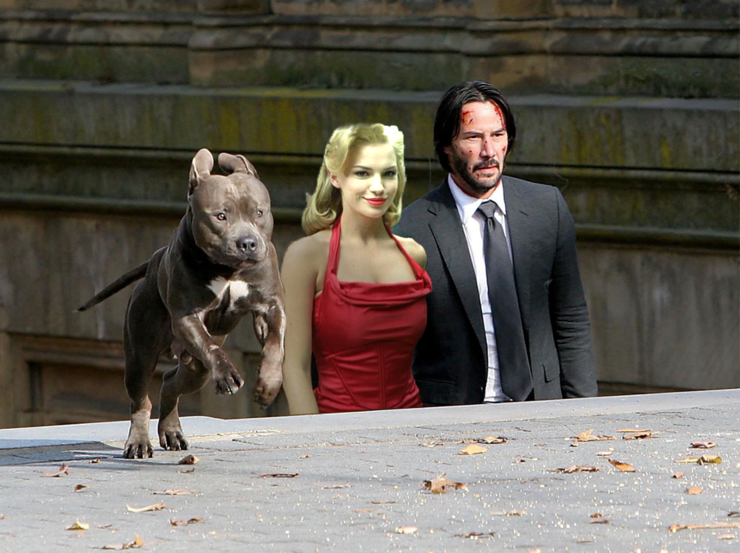 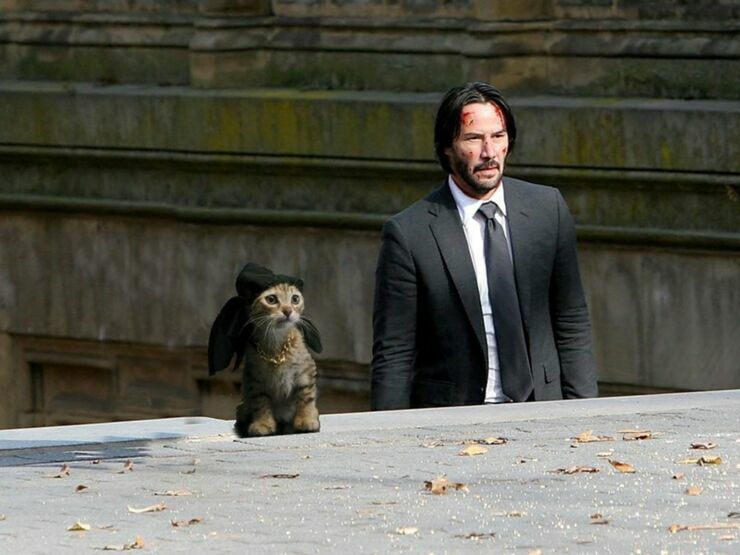 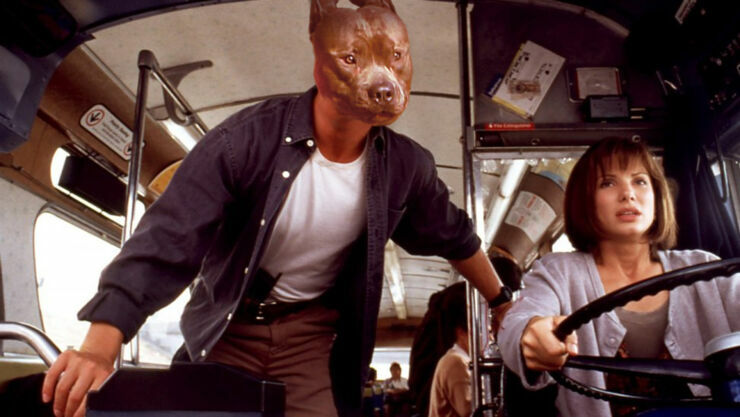 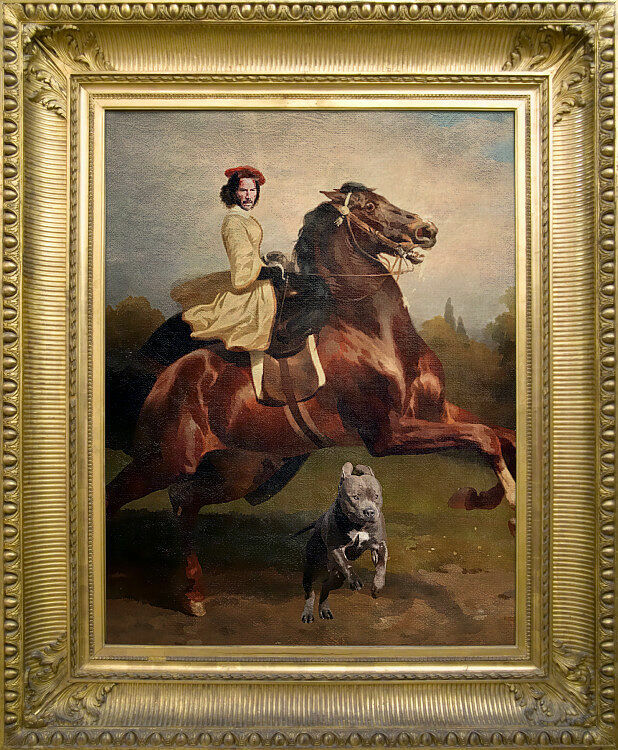 Keanu Reeves has always been a favorite topic for the internet to photoshop into memes. 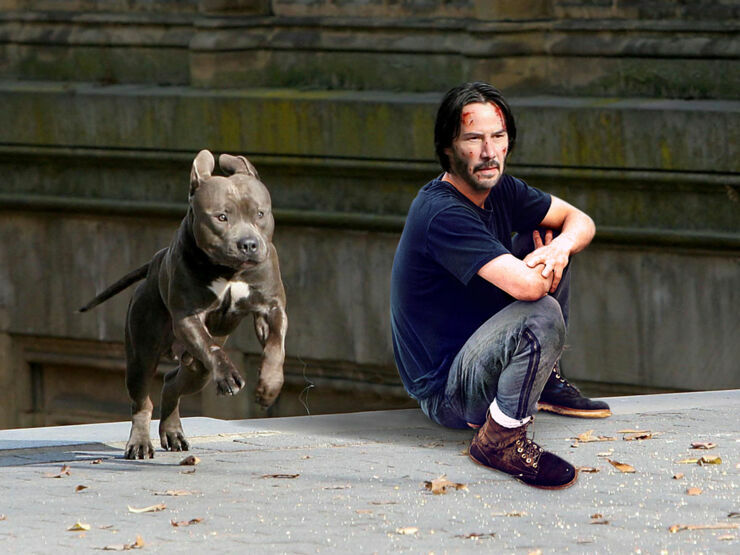 Sad Keanu being the most famous, that classic pic of Keanu sat alone on a bench eating a sandwich. 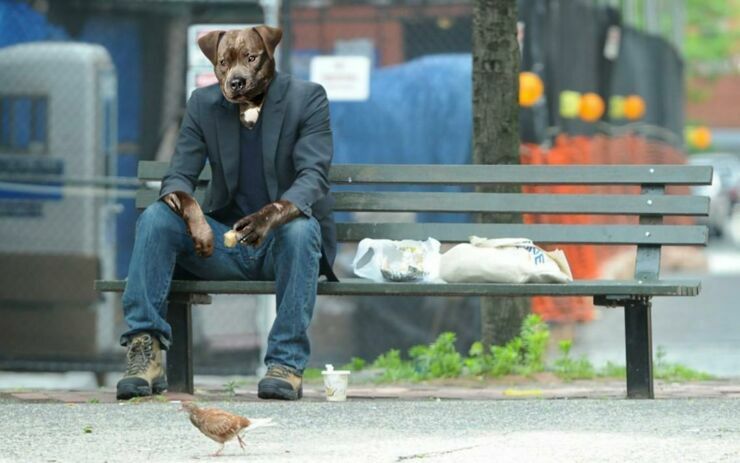 It's an image that seems to epitomize the loneliness of fame and celebrity. 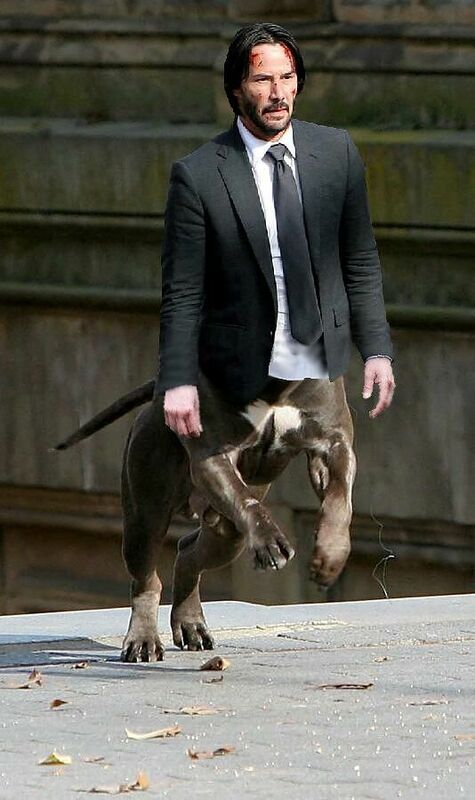 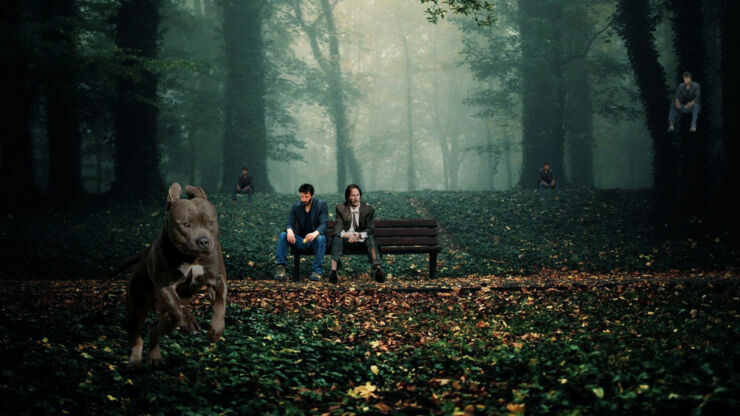 Well, now he's back getting photoshopped but this time it's a photo of him and a dog. 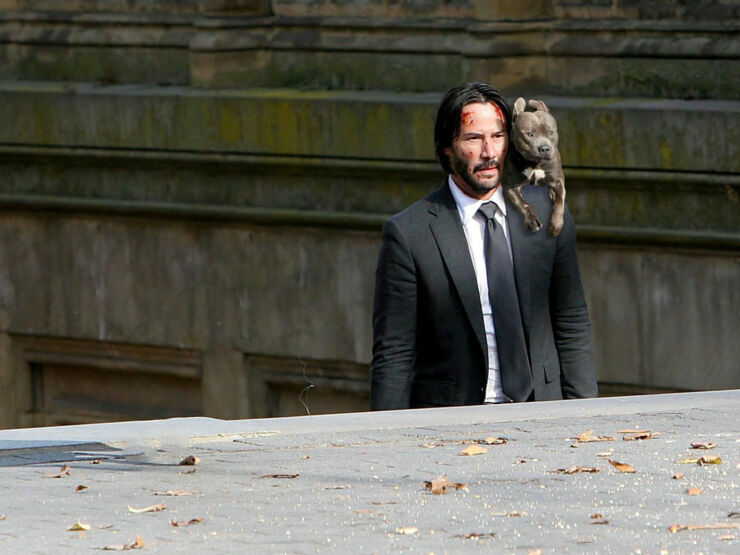 A photo of him with blood on his face walking up some steps on the set of the new John Wicks movie (see trailer above). 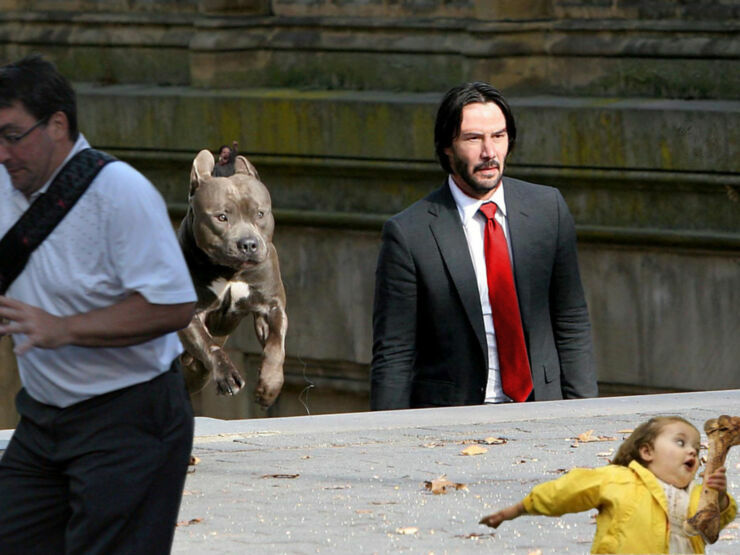 Next to him is a dog caught mid-leap. 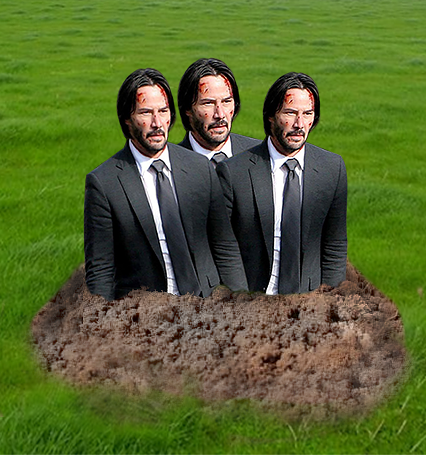 There doesn't seem to be anything especially photoshop-worthy on initial inspection of the image, but then there doesn't need to be. 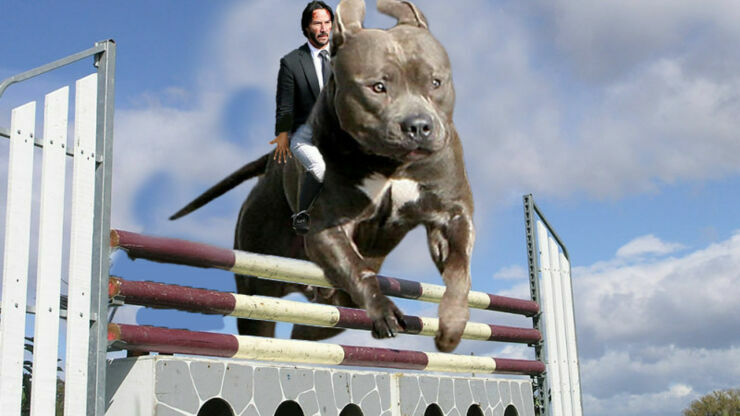 This is Keanu Reeves. So, Reddit's photoshop community set about making it into something ridiculous after the image was uploaded to the PSBattle subreddit. 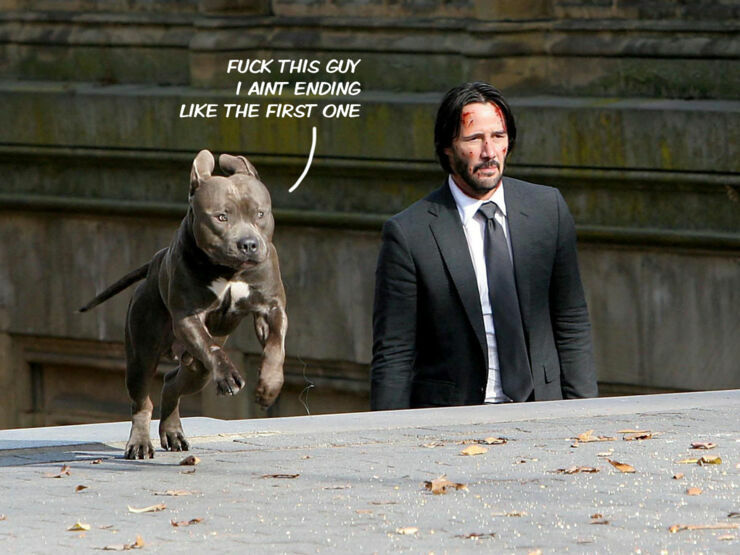 That's all it takes. 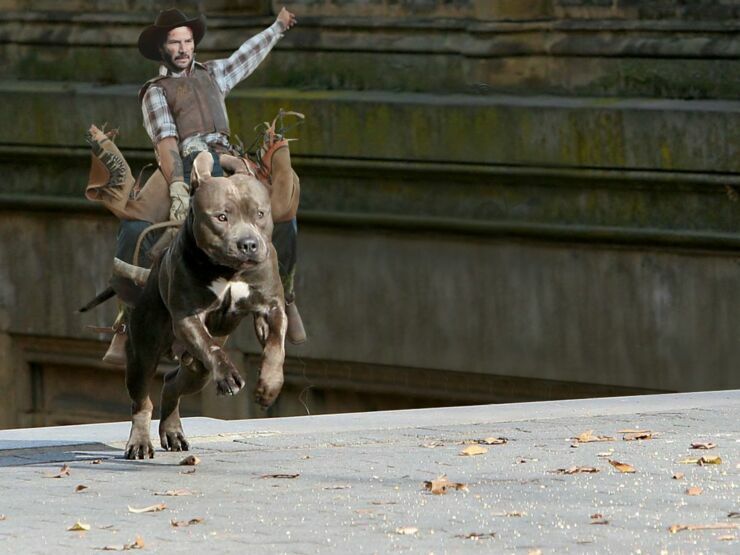 Next thing you know Keanu is rodeo riding the dog dressed in a cowboy outfit. 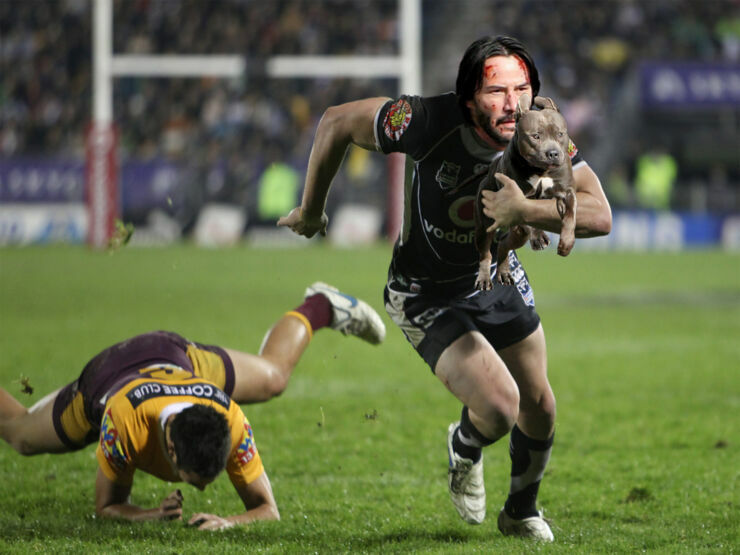 Or running along on a rugby pitch with the dog as the ball. 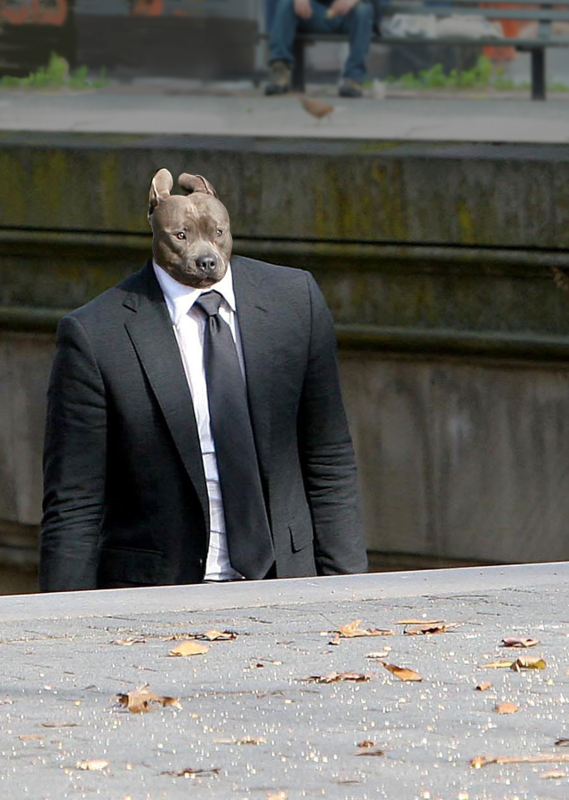 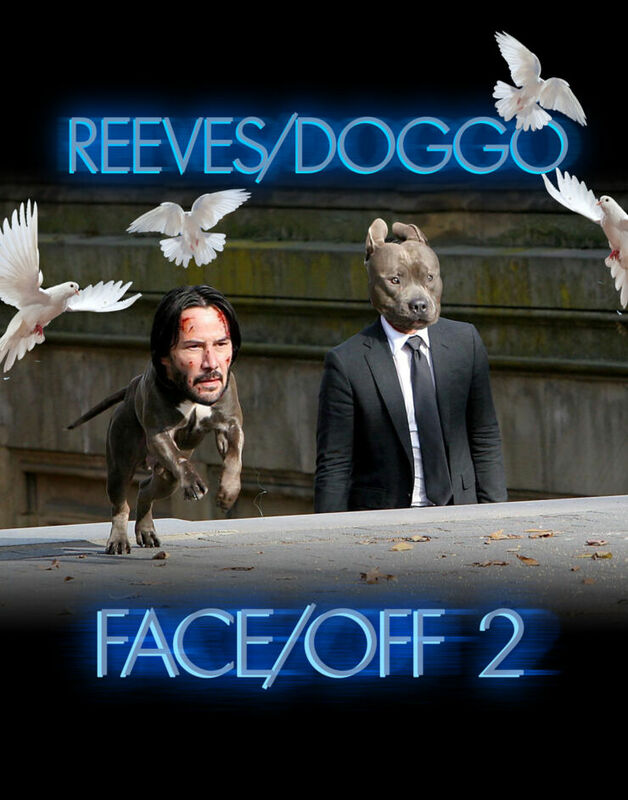 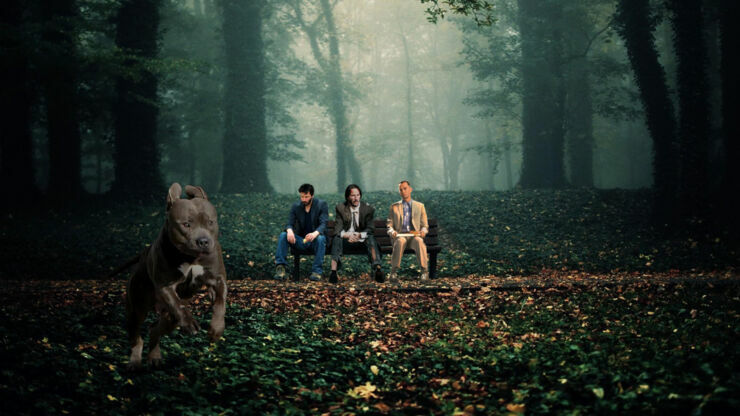 Or, inevitably, Sad Keanu is given the dog's head and paws. 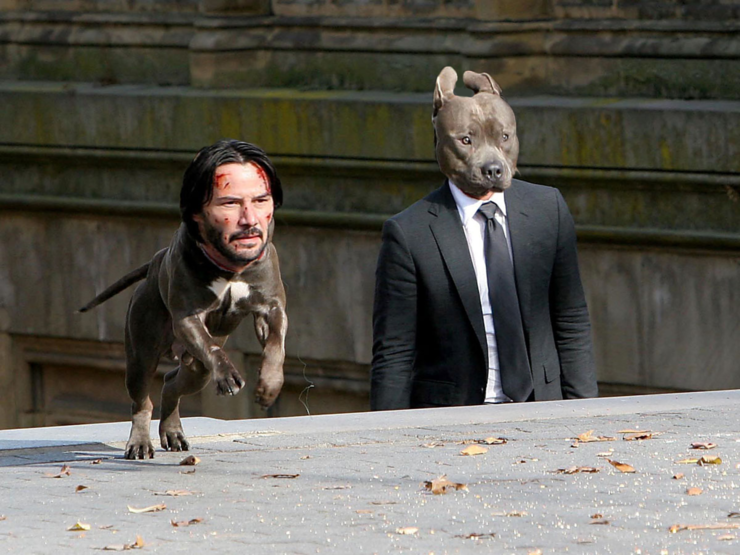 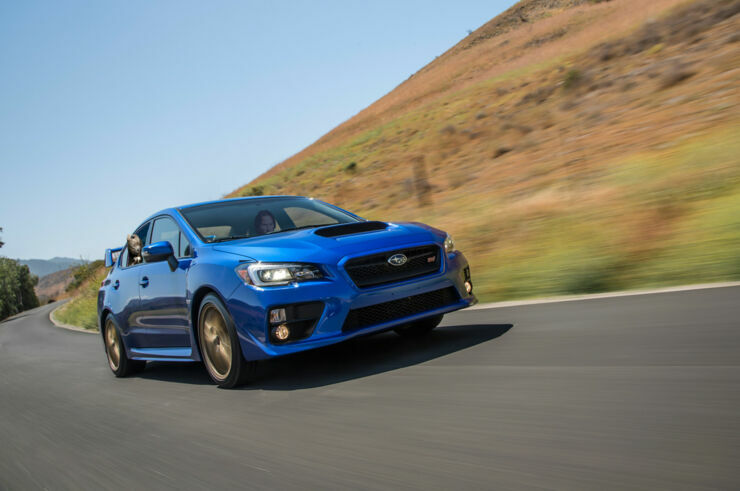 It's a lot of fun.